Steven Hoffman, the chair of the Cannabis Control Commission. State regulators said Wednesday they are investigating whether large marijuana companies are flouting state rules on the number of licenses that can be controlled or owned by a single entity, potentially making it harder for smaller, independent entrepreneurs to compete. The revelation by the Cannabis Control Commission comes a week after the Globe Spotlight Team reported that two major companies, Sea Hunter Therapeutics and Acreage Holdings, have publicly bragged to investors about amassing large numbers of licenses in Massachusetts — despite rules barring any one entity from owning or controlling more than three licenses to operate medical marijuana stores or three licenses for recreational stores. Since that report was published, the Globe requested from the commission records relating to any allegations that companies were violating licensing caps, including memos by the Department of Public Health, which had overseen the medical marijuana industry in Massachusetts before transferring oversight to the commission in December. A lawyer for the commission, Andrew Carter, cited an ongoing investigation in a letter denying the Globe’s request. Carter said disclosing the records could hinder the commission’s investigation and jeopardize future probes, as well as invade the privacy of people under review. Meanwhile, a copy of a DPH memo, dated last August and obtained from a source this week by the Globe, indicated the agency had been aware of problems with two companies, Sea Hunter Therapeutics and Acreage Holdings. The Globe reported last week that the companies’ accumulation of licenses — mostly provisional medical licenses — came under complex networks involving different entities. In some cases, the companies outright owned the affiliated entities and in other cases they exerted substantial power over them through high-interest loans and management contracts, according to documents. Sea Hunter, for instance, is affiliated with companies working to open a dozen stores across the state under various names, including Commonwealth Alternative Care, Verdant Medical, Herbology, Ermont, and Elev8. Meanwhile, Acreage told investors it either owned or had connections to a dozen other stores in development; Acreage’s network of companies includes the Botanist, Mass Medi-Spa, Patient Centric of Martha’s Vineyard Ltd., and Health Circle. Acreage officials declined to comment, and Alex Coleman, chief executive of Sea Hunter’s parent company, Tilt Holdings, said in a statement, “We have no knowledge of a DPH or CCC review.” Both companies have denied violating any rules and insist their operations are within the boundaries of Massachusetts law. 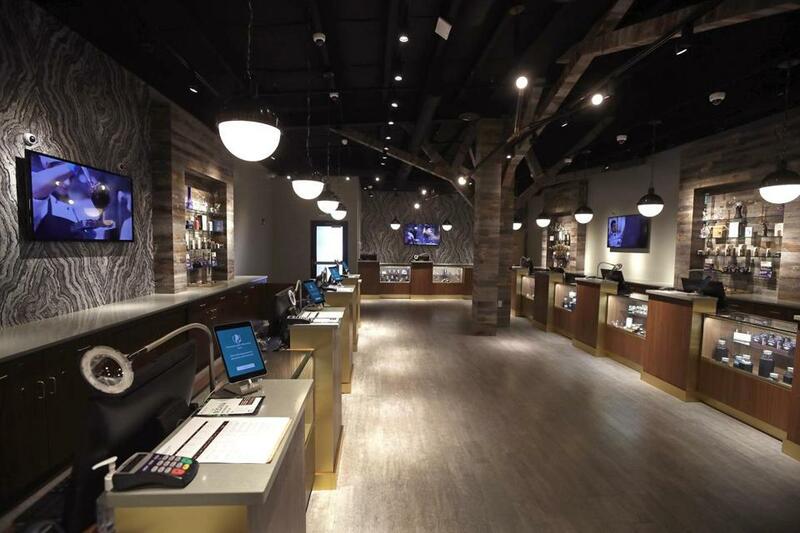 The Spotlight Team also found similar issues with other marijuana retailers across the country. As major companies aggressively try to increase their scale, they have frequently employed management agreements and other tactics to get around limits on the number of stores they can own. For instance, several companies boast about running multiple medical marijuana stores in Maryland, where regulations bar companies from owning more than one. According to the DPH memo, that agency found that a number of entities holding medical marijuana licenses issued by DPH were “using Department loopholes to hide Acreage or Sea Hunter Therapeutics, LLC’s affiliations.” The memo also says that the entities were further exploiting “loopholes in order to not have to submit to the Department contracts with some of” Sea Hunter’s affiliates. It went on to say that, to hide their connections, the firms “created shell companies.” The memo indicates that DPH began the investigation last May following an inquiry about the two companies from a Globe reporter. Ann Scales, spokeswoman for the DPH, declined to comment Wednesday on the substance of the memo. 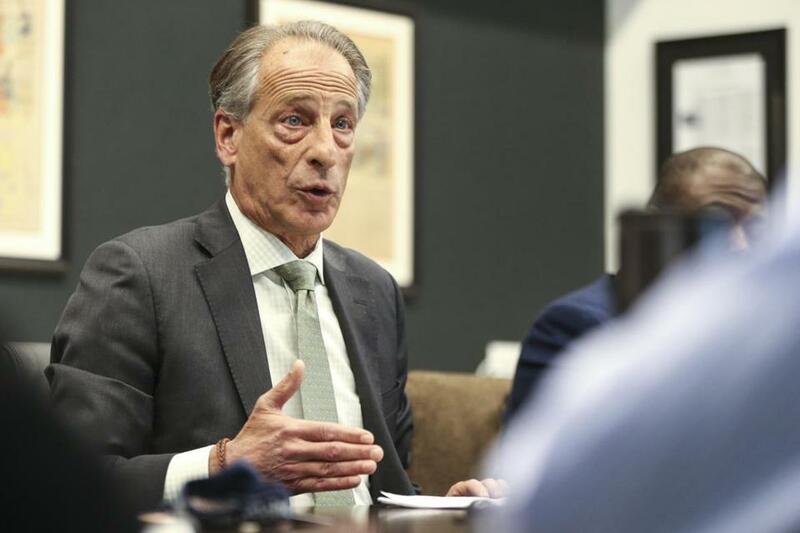 Despite making the findings in August, DPH did not act on the information before transferring oversight of medical marijuana to the cannabis commission in late December. DPH officials said they decided to hand off the investigation to the commission, in part because they realized a deeper investigation was needed and partly because the commission, which already oversaw recreational cannabis, was scheduled to take over oversight of the medical marijuana market. 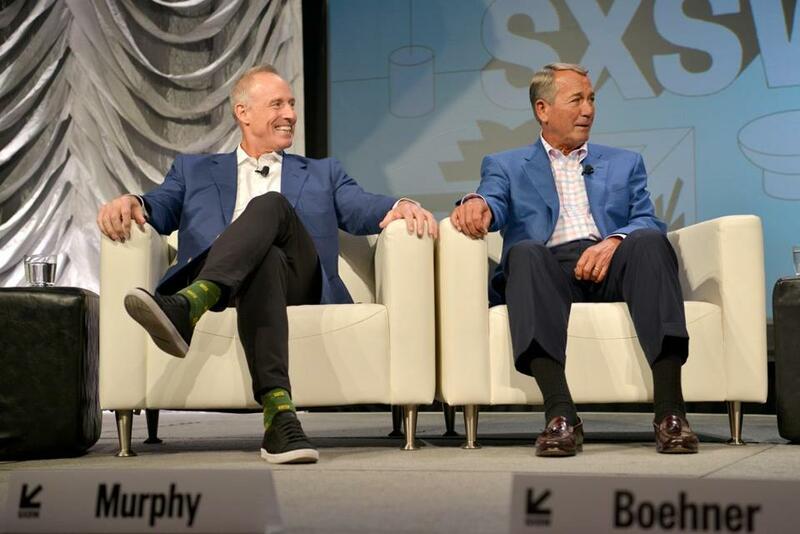 Acreage’s chief executive Kevin Murphy (left) and former US House speaker John Boehner, who was appointed to the Acreage board, shared a stage during the 2019 SXSW Conference and Festivals in Austin this month. The Cannabis Control Commission confirmed Wednesday that it received multiple records from DPH about allegations that some license-holders were violating the license caps and said it has initiated its own investigation, although it is unclear when it began. If state regulators find any companies violated the rules, they could revoke existing licenses or deny applications for future ones. In an interview with the Globe last week prior to the publication of the Spotlight report, Steven Hoffman, the chair of the commission, did not acknowledge any awareness of an active probe. Small said the issue is important for fairness, especially for people of color trying to compete in this fast-moving business. Without the state enforcing the license limits, he said, the major national operators become even more dominant. Todd Wallack can be reached at todd.wallack@globe.com .